Surrounded by inspiring architecture and expansive views, the Museum Tower team is bringing sophisticated urban living to the heart of Dallas. 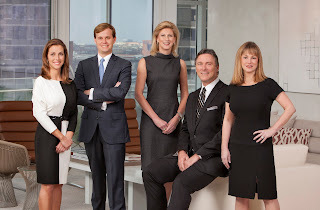 Recently, Ilene Christ and Kyle Richards of Briggs Freeman Sotheby’s International Realty joined Lea Anne Laughlin and Ashley Tatum of Museum Tower Sales and Marketing, to forge a dynamic team focused on showcasing the very best in vibrant, urban living. “Partnering with Robbie Briggs and Briggs Freeman Sotheby’s International Realty is part of a natural transition that dramatically expands the capabilities of our in-house sales team,” said Steve Sandborg, Vice President, Sales and Marketing, Museum Tower. Briggs Freeman has partnered with Museum Tower on sales over the past few years, having represented a number of current homeowners. This newly-expanded sales team can be found at the Museum Tower Sales Gallery, located at the 42-story luxury residential high-rise in the heart of Dallas’ renowned Arts District.